MARSHALL DR - HUNTING LAND IN TN FOR SALE, DEER, DUCK, POND, CREEK!!! Here is a Unique Piece of Property in Tennessee that has Many Features. It is a Great Duck Hunting & Deer Hunting Property with a Large Duck Pond on the back of the Property and other Water Sources Running through the property like Springs and Creeks. 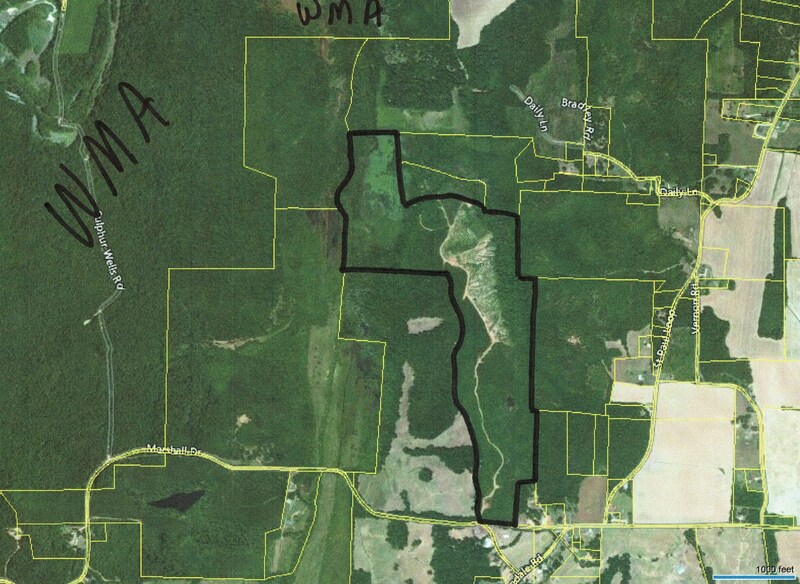 It is located just off of White Oak, a 7,000 Acres Wildlife Management Area(WMA). There is one property line that is approximately 800ft. from the WMA property line. The Duck Pond is approximately 20 Acres+/-. The Land has some Nice Building Sites, but one of those sites has Amazing Distant Views that you can see for Miles and Miles. I counted at least 3 Water Towers in View from this Site. I think it would be an Awesome Place for a Cabin. It would be Exceedingly Private. The Road Frontage is Paved and there is a Good interior Road that runs from the Road Frontage all the way back to the Duck Pond. The property is only about 2 miles from the Gorgeous Tennessee River and approximately 12 miles or so from Savannah, TN. You can also buy this property with the timber that is ready to be cut. It is about $62,000 worth of Timber with about 68 acres in pine and 18 acres in Hardwood. Last, but not least, the owner will consider Possibly Owner Financing. THIS PURCHASE IS WITHOUT THE TIMBER. Seller will have a 2 year timber contract to remove the timber.